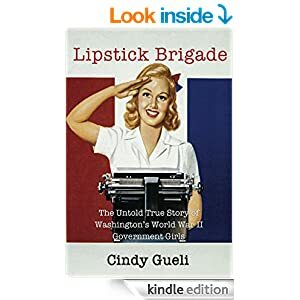 Lipstick Brigade is the first and only book to explore the the dynamic and inspiring story of Washington’s World War II “Government Girls.” Sometimes called white-collar Rosie the Riveters, this clerical corps of over 100,000 women- mostly young, single, and alone in a big city for the first time- migrated from across the country to become federal stenographers, typists, code breakers, analysts, and spies to join America’s war effort. But there were so many more wonderful stories, photos, interviews, and videos that I could not fit into the book, I decided to create this page to share them. Please check back often as I’ll be adding new material frequently. I hope you enjoy these women’s stories as much as I did in uncovering them!